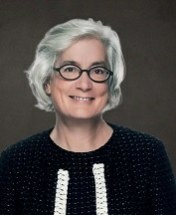 Gretchen M. Nelson is a 1983 graduate of Georgetown University Law School. She received her B.A. degree from Smith College in 1976. She was admitted to the State Bar of California in January 1984. She is currently serving her last year as a member of the Board of Trustees for the State Bar of California and is Treasurer of that organization. She is a member of the Board of Governors of the Consumer Attorneys of Los Angeles. She is a past President of the Los Angeles County Bar Association and was the Chair of the Litigation Section of that organization. Following law school, she practiced for several years with the law firm of Morgan, Wenzel McNicholas. In August 1988, she joined the law firm of Corinblit Seltzer, a Professional Corporation, where she concentrated her practice in the prosecution of complex business litigation, with a strong emphasis on antitrust and securities class action cases. In February 1998, Ms. Nelson formed her own law firm where she devoted her practice to the litigation of complex class action cases, involving securities, antitrust, employment and consumer claims as well as other litigation on behalf of individuals and small businesses. In 2003, Ms. Nelson joined the law firm of Kreindler &Kreindler LLP when it opened the firm's first California office located in Los Angeles. She continues to practice in the area of complex class action litigation. Ms. Nelson has lectured on class and class-related litigation issues for the Consumer Attorneys Association of Los Angeles, the Association of Trial Lawyers, the Practicing Law Institute, the National Business Institute and Mealeys. She has published articles in the Advocate and the Forum and the American Bar Associations TIPS magazine The Brief on class and other issues. A list of representative cases, among others, in which Ms. Nelson has had a substantial role is appended hereto. (1) In re ZZZZ Best Securities Litigation, Master File No. CV 87-3574 RSWL(Bx) (C.D. Cal.). Corinblit & Selzer was appointed by the Los Angeles federal court as sole lead counsel to represent the plaintiff class of defrauded securities purchasers. The ZZZZ Best fraud was described by the United States Attorney for the Central District of California as "the most massive and elaborate securities fraud perpetrated on the West Coast in over a decade." In the consolidated class action cases, the court issued several important published rulings sustaining plaintiffs' claims. See, e.g., In re ZZZZ Best Securities Litigation, 864 F.Supp. 960 (C.D. Cal. 1994); and [1990 Transfer Binder] Fed.Sec.L.Rep. (CCH) ¶95,416 (C.D. Cal. 1990). The case was settled for approximately $40 million in cash. (2) In re Taxable Municipal Bond Securities Litigation, MDL No. 863 (D. La.). Corinblit & Seltzer was among four firms selected for a leadership role in this consolidated multi-district litigation brought on behalf of defrauded securities purchasers of municipal bonds. After five years of litigation, the case was settled for approximately $110 million in cash. (3) Raymark Industries, Inc. v. Stemple, No. 88-l0l4-K (D. Kan.). Corinblit & Seltzer defended an attorney in an action brought under the RICO statute and state law for alleged fraud in connection with the settlement of a class action case. The firm was successful in obtaining an injunction restraining the prosecution of twelve related actions filed by the plaintiff in federal courts located throughout the United States. After several years of litigation, the case was settled and dismissed. (4) Biben v. Card, No. 84-0844-CV-W-6 (W.D. Mo.). Corinblit & Seltzer served as co-lead counsel for plaintiffs in these consolidated securities fraud class action cases. The plaintiffs achieved substantial pretrial victories, including establishing the sufficiency of their claims under the federal securities laws against the director, accountant and attorney defendants in that case and in defeating motions for summary judgment by the insurance carriers for certain individual defendants. The case was settled for approximately $12 million in cash. (5) Sanwa Bank California v. Facciani, No. CA001132 (L.A. Sup. Ct.) Corinblit & Seltzer was counsel (together with two other plaintiffs' firms) for a class of investors in this state court securities case and a companion federal case in which settlements totaling approximately $26 million were obtained on behalf of the investors. (6) Schneider v. Traweek, No. CV 88-0905 RG(Kx) (C.D. Cal.). Corinblit & Seltzer was sole counsel for the plaintiff class consisting of thousands of investors in eight limited partnerships. In granting plaintiffs' motion for class certification, the court determined that "[t]he qualifications of Plaintiffs' counsel are not at issue, since the Defendants conceded at oral argument that no one questions the ability of the law firm of Corinblit & Seltzer to prosecute this action on behalf of the proposed class." Schneider v. Traweek, [1990 Transfer Binder] Fed.Sec.L.Rep. (CCH) ¶95,419 at 97,113 (C.D. Cal. 1990). The case was settled for in excess of $14 million. Other reported decisions in the case can be found at Schneider v. Traweek, [1990 Transfer Binder] Fed.Sec.L.Rep. (CCH) ¶ 95,507 (C.D. Cal. 1990). (7) In re Domestic Air Transportation Antitrust Litigation, Master File No. 1:90-cv-2485 MHS. Corinblit & Seltzer was appointed by the Atlanta federal court to serve on the Plaintiffs' Steering Committee. The litigation consisted of more than fifty consolidated antitrust class actions. The case was settled for $50 million in cash and discount travel certificates with a face value of $408 million, which the Atlanta federal court valued as being worth approximately $305 million. (8) Pinto v. Birr Wilson & Co., Inc., No. CA001058 (L.A. Co. Sup. Ct.). Corinblit & Seltzer were sole counsel for a class of municipal bondholders who had been allegedly defrauded. The case was settled for approximately $1.4 million in cash and approved by the Los Angeles Superior Court. (9) Slaven, et al. v. BP America, Inc., et al., No. CV-90-0705 RJK(JRx) (C.D. Cal.). Ms. Nelson and four other firms are prosecuting claims on behalf of a class of businesses who suffered economic losses as a result of a massive oil spill off the coast of Huntington Beach that occurred in 1990. Reported decisions in the case appear at Slaven v. American Trading & Transp.Co., 146 F.3d 1066 (9th Cir. 1998); Holifield v. BP America, Inc., 973 F.2d 1468 (9th Cir. 1992); Slaven v. BP America, Inc., 190 F.R.D. 649 (C.D. Cal. 2000); Slaven v. BP America, Inc., 958 F.Supp. 1472 (C.D. Cal. 1997); Holifield v. BP America, Inc., 786 F.Supp. 853 (C.D.Cal. 1992); Holifield v. BP America, Inc., 786 F.Supp. 840 (C.D. Cal. 1991). The case was settled for in excess of $6 million. (10) In re Brand Name Prescription Drugs Antitrust Litig., MDL 997 (E.D. Ill.). This was a antitrust class action against the manufacturers and wholesalers of brand name prescription drugs. While at Corinblit and Seltzer and thereafter with her own firm, Ms. Nelson acted as one of plaintiffs' counsel in obtaining certification of a class of pharmacies, settling the claims of the class members against certain of the defendants and pursuing remaining claims to trial. Reported decisions are found at In re Brand Name Prescription Drugs Antitrust Litig., 186 F.3d 781 (7th Cir. 1999); 123 F.3d 599 (7th Cir. 1998); 115 F.3d 456 (7th Cir. 1997). The case resulted in settlements of over $700 million for a class of independent pharmacies. (11) Porter v. City of Los Angeles, Los Angeles Superior Court Case No. BC119914. While with Corinblit & Seltzer and thereafter, Ms. Nelson was one of three attorneys who prosecuted a class action on behalf of tenants of a building demolished by the City of Los Angeles asserting claims for inverse condemnation and negligence. The claims were settled for in excess of $3 million following class certification and shortly prior to trial. (12) In re Compact Disc Antitrust Litigation, MDL 1216 (C.D. Cal.). Ms. Nelson was one of plaintiffs' counsel involved in the prosecution of antitrust claims against recorded music distribution companies charging the defendants with price fixing compact discs. Settlements for in excess of $50 million were obtained in the case. (13) Canning v. Music Express, Los Angeles Superior Court Case No. BC 227542. Ms. Nelson is one of the attorneys representing plaintiffs in a wage and overtime case brought against a limousine company on behalf of its drivers. The court certified the class and thereafter a $2.2 million settlement was achieved and approved by the Court. (14) In re Broadcom Corp. Securities Litig., Master File No. SACV 01-275 GLT (MLGx) (C.D. Cal.). Ms. Nelson was local counsel for the Lead Plaintiff in these consolidated securities class actions in the United States District Court for the Central District of California, Santa Ana Division. A class settlement for $150 million was achieved after lengthy pre-trial proceedings. (15) Godinez, et al. v. Gray Davis, et al., Los Angeles Superior Court Case No. BC 227352. Ms. Nelson is one of four counsel for the plaintiffs in this public interest lawsuit filed on behalf of students and community organizations challenging the manner in which the State of California and its various agencies have apportioned more than $2 billion in new school construction funds. Following extensive briefing and hearing on plaintiffs' motion for preliminary injunction, the claims were successfully settled. Issues relating to plaintiffs fee application were appealed to the Court of Appeal and resulted in a published opinion affirming the fee award but remanding for further findings. See Godinez v. Swcharzenegger, 132 Cal.App.4th 73 (2005). (16) Sanchez v. Survival Insurance Co., Los Angeles Superior Court Case No. BC 225524. Ms. Nelson is one of the attorneys representing plaintiffs in a wage and overtime case brought against the defendants. Following the issuance of an extensive order certifying the class, the claims were settled for in excess of $600,000. (17) Westways World Travel, Inc. v. AMR Corp., U.S. District Court Case No. 99-7689 RJT (C.D. Cal.). Ms. Nelson is one the counsel for plaintiffs in this class action filed on behalf of a class of travel agents against American Airlines and other defendants. Reported decisions may be found at Westways World Travel, Inc. v. AMR Corp., 182 F.Supp.2d 952 (C.D. Cal. 2001) and 218 F.R.D. 223 (C.D. Cal. 2003). The case is currently on appeal. In addition, Ms. Nelson was one of the counsel for plaintiffs in a related class action entitled All World Professional Travel Services, Inc. v. American Airlines, Inc. U.S. District Court Case No. ED CV 02-849RT (SGL. Reported decisions in All World may be found at 282 F.Supp.2d 1161 (C.D. Cal. 2003). (18) In re ATM Fee Antitrust Litigation, U.S. District Ct. Case No. CV 04-2676 CRB (N.D. Cal.) Ms. Nelson is one of the counsel for plaintiffs in consolidated antitrust class actions challenging foreign ATM fees charged by a number of banks and other entities. The case is pending. (19) In re Cosmetics, California Superior Court Coordinated Proceedings No. JCCP Case No. 4056. Ms. Nelson is one of plaintiffs' counsel in coordinated proceedings that were litigated in the Marin County Superior Court arising out of antitrust claims asserted by a class of direct purchasers against manufacturers of high-end cosmetics and retailers. A class settlement was achieved valued at in excess of $100 million. The settlement involved a nationwide class and the settlement was presented and approved by the U.S. District Court for the Northern District of California. An appeal has been filed and the case is pending in the Ninth Circuit Court of Appeals. (20) Archer v. United Rentals, L.A. Superior Court Case No. BC 296139. In this consumer class action, Ms. Nelson represents the plaintiffs who are challenging the practice of recording personal identification information in violation of the Song-Beverly Credit Card Act, Civil Code Section 1747, et seq. The court has certified a class under Business & Professions Code Section 17200 for injunctive relief. (21) Grossett v. Wenaas, California Supreme Court Case No. S139285. This is a derivative lawsuit filed in the San Diego Superior Court by a shareholder of JNI Corporation against the company's officers and directors charging them with violations of their fiduciary duties and insider trading with respect to a secondary offering. Ms. Nelson is one of the counsel for plaintiff. After lengthy and protracted proceedings, the trial court dismissed the case based on a report by a Special Litigation Committee. The company was then purchased by AMCC Corporation and the stockholders were cashed out. The appellate court dismissed the appeal on the grounds that the stockholder lost standing as a result of the merger. The California Supreme Court granted plaintiff's petition for review. The case is currently being briefed in the Supreme Court. (22) In re Emulex Shareholder Cases, JCCP No. 4194. In these coordinated shareholder derivative cases, Ms. Nelson represented plaintiffs asserting claims against the officers and directors of Emulex Corporation. The cases were resolved by an $8 million settlement. (23) In re Intermix Media, Inc. Shareholder Litigation, Los Angeles Superior Court Case No. BC 339083. Ms. Nelson is one of counsel for plaintiffs in three consolidated class action proceedings asserting claims against the officers and directors of Intermix Media Inc. arising out of the sale of the company and its primary asset, MySpace.com, to News Corp. Plaintiffs alleged, among other things, that the defendants failed to maximize the value of Intermix in the sale.